Upgrade your upholstery tool offering! Mytee 8400P Air Lite Upholstery Tool is a lightweight upholstery tool used with your Mytee Carpet Extractor. 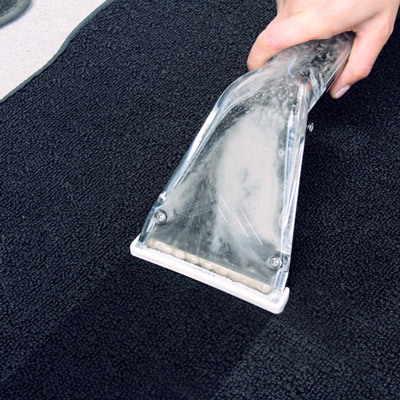 Featuring a “Positive Ventilation glide”, which allows for smooth back and forth cleaning motion and faster drying times, a clear plastic top head that allows you to monitor your work, and a comfortable grip, the Mytee 8400P Air Light Upholstery Tool is an upgrade to the standard upholstery tool you already have. Set new standards with the Mytee 8400P Air Lite Upholstery Tool! A comfort grip spray lever that reduces operator strain. A clear top that allows you to see the dirt and grime being extracted. This upholstery tool is 100x better than the metal one that comes with the machine. The carpet/seats are practically dry after extraction. The metal tool has crazy overspray and this has one has NONE! It cleans so much better and faster, if your using the metal tool still spend the $100 and buy this you wonâ€™t be disappointed.